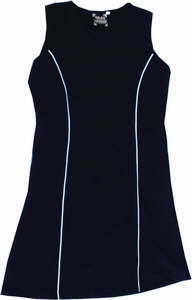 Supplied in sets of 10 Tops and Skirts or 10 Dresses. Bibs supplied in sets of 7 with printed positions on front. Custom made Butcher linen skirts are manufactured in wrap around style. Orders can be ready in +- 5 working days pending production space. Embroidery and silk screen printing available on request.